A list of famous inventors from Archimedes to Tim Berners-Lee. 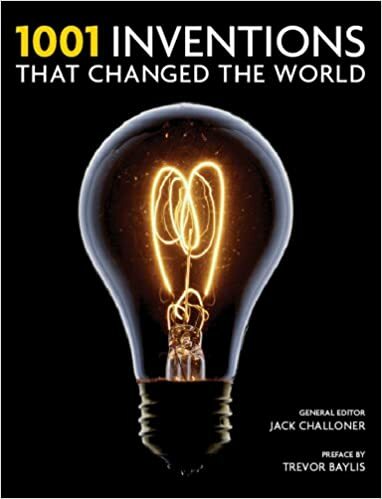 1001 Inventions That Changed the World at Amazon. A look into the numerous inventions we now take for granted by great inventors such as Archimedes, Galileo, Leonardo da Vinci, Louis Pasteur, Marie Curie, Alan Turing and Steve Jobs. Archimedes (287 BCE – c. 212 BCE) Archimedes of Syracuse was an ancient Greek mathematician, physicist, engineer, inventor, and astronomer. Amongst other things he calculated pi and developed the Archimedes screw for lifting up water from mines or wells. Cai Lun (50–121 CE), Chinese inventor of paper. Cai Lun was a Chinese political administrator credited with inventing modern paper and inventing the paper-making process. 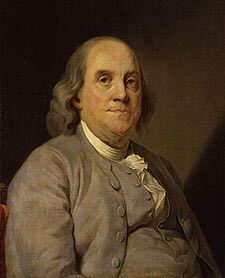 His invention included the use of raw materials such as bark, hemp, silk and fishing net. The sheets of fibre were suspended in water before removing for drying. 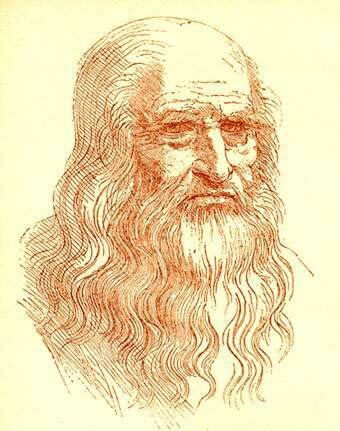 Leonardo Da Vinci (1452–1519) Italian artist, scientist and polymath. Da Vinci invented a huge range of machines and drew models that proved workable 3-500 years later. These included prototype parachutes, tanks, flying machines and single-span bridges. More practical inventions included an optical lens grinder and various hydraulic machines. Thomas Savery (c. 1650–1715) English inventor. Savery patented one of the first steam engines which was pioneered for use in pumping water from mines. This original Savery steam engine was basic, but it was used as a starting point in later developments of the steam engine. 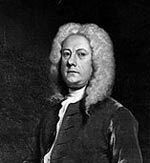 Jethro Tull (1674–1741) English agricultural entrepreneur. Tull invented the seed drill and horse-drawn hoe. The seed drill improved the efficiency of farming and led to increased yields. It was an important invention in the agricultural revolution which increased yields prior to the industrial revolution. 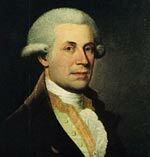 Abraham Darby (1678–1717) English Quaker, inventor and businessman. Darby developed a process for producing large quantities of pig iron from coke. Coke smelted iron was a crucial raw material in the industrial revolution. 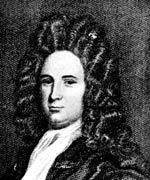 John Harrison (1693–1776) English carpenter and clockmaker. He invented a device for measuring longitude at sea. This was a crucial invention to improve the safety of navigating the oceans. 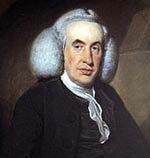 William Cullen (1710–1790) Scottish physician and chemist. He is credited with inventing the basis for the first artificial refrigerator, although it took others to make his designs suitable for practical use. John Wilkinson (1728–1808) English industrialist. John ‘Iron Mad’ Wilkinson developed the manufacture and use of cast iron. These precision-made cast iron cylinders were important in steam engines. Sir Richard Arkwright (1732–1792) English entrepreneur and ‘father of the industrial revolution.’ Arkwright was a leading pioneer in the spinning industry. He invented the spinning frame and was successful in using this in mass-scale factory production. 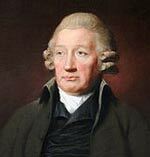 James Watt (1736–1819) Scottish inventor of the steam engine, which was suitable for use in trains. His invention of a separate condensing chamber greatly improved the efficiency of steam. It enabled the steam engine to be used for a greater range of purpose than just pumping water. 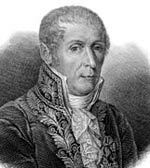 Alessandro Volta (1745–1827), Italian physicist, credited with inventing the battery. Volta invented the first electrochemical battery cell. It used zinc, copper and an electrolyte, such as sulphuric acid and water. 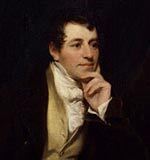 Sir Humphrey Davy (1778–1829) English inventor of the Davy lamp. The lamp could be used by miners in areas where methane gas existed because the design prevented a flame escaping the fine gauze. Michael Faraday (1791–1867) English scientist who helped convert electricity into a format that could be easily used. Faraday discovered benzene and also invented an early form of the Bunsen burner. 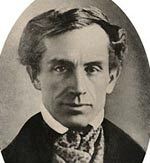 Samuel Morse (1791–1872) American inventor Morse used principles of Jackson’s electromagnet to develop a single telegraph wire. He also invented Morse code, a method of communicating via telegraph. 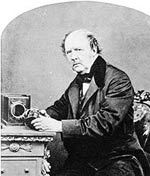 William Henry Fox Talbot (1800–1877) British Victorian pioneer of photography. He invented the first negative, which could make several prints. He is known for inventing the calotype process (using Silver Chloride) of taking photographs. 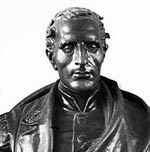 Louis Braille (1809–1852) French inventor. Louis Braille was blinded in a childhood accident. He developed the Braille system of reading for the blind. He also developed a musical Braille, for reading music scores. 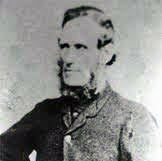 Kirkpatrick Macmillan (1812–1878) Scottish inventor of the pedal bicycle. Kirkpatrick’s contribution was to make a rear wheel driven bicycle through the use of a chain, giving the basic design for the bicycle as we know it today. James Clerk Maxwell (1831–1879) Scottish physicist and inventor. Maxwell invented the first process for producing colour photography. 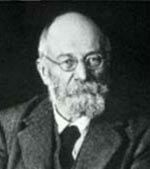 Maxwell was also considered one of the greatest physicists of the millennium. 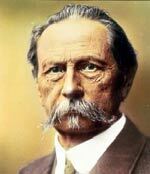 Karl Benz (1844–1929), German inventor and businessman. Benz developed the petrol-powered car. In 1879, Benz received his first patent for a petrol-powered internal combustion engine, which made an automobile car practical. Benz also became a successful manufacturer. Thomas Edison (1847–1931) American inventor who filed over 1,000 patents. He developed and innovated a wide range of products from the electric light bulb to the phonograph and motion picture camera. One of the greatest inventors of all time. Alexander Bell (1847–1922) Scottish scientist credited with inventing the first practical telephone. 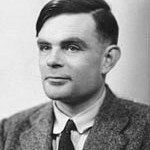 Also worked on optical telecommunications, aeronautics and hydrofoils. Nikola Tesla (1856–1943) American Physicist who invented fluorescent lighting, the Tesla coil, the induction motor, 3-phase electricity and AC electricity. 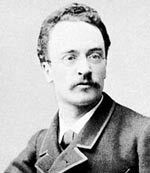 Rudolf Diesel (1858–1913), German inventor of the Diesel engine. Diesel sought to build an engine which had much greater efficiency. This led him to develop a diesel-powered combustion engine. Édouard Michelin (1859–1940), French inventor of a pneumatic tire. 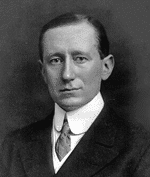 John Dunlop invented the first practical pneumatic tyre in 1887. Michelin improved on this initial design to develop his own version in 1889. Marie Curie (1867–1934) Polish-born French chemist and physicist. Curie discovered Radium and helped make use of radiation and X-rays. The Wright Brothers (1871–1948) American inventors who successfully designed, built and flew the first powered aircraft in 1903. Alexander Fleming (1881–1955), Scottish scientist. Fleming discovered the antibiotic penicillin by accident from the mould Penicillium Notatum in 1928. John Logie Baird (1888–1946) Scottish inventor who invented the television and the first recording device. Enrico Fermi (1901–1954) Italian scientist who developed the nuclear reactor. 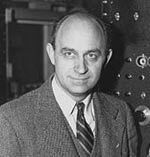 Fermi made important discoveries in induced radioactivity. He is considered the inventor of the nuclear reactor. 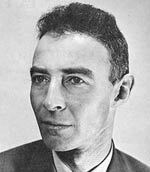 J. Robert Oppenheimer (1904–1967), United States – Atomic bomb. Oppenheimer was in charge of the Manhattan project which led to the creation of the first atomic bomb, later dropped in Japan. He later campaigned against his own invention. 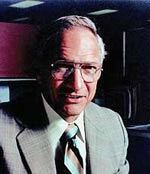 Robert Noyce (1927–1990) American 20th-century electrical engineer. Along with Jack Kilby, he invented the microchip or integrated circuit. He filed for a patent in 1959. The microchip fueled the computer revolution. 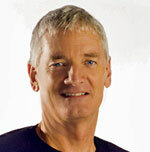 James Dyson (1947– ) British entrepreneur. He developed the bag-less vacuum cleaner using Dual Cyclone action. His Dyson company has also invented revolutionary hand dryers. Citation: Pettinger, Tejvan. “Famous inventors”, Oxford, UK. www.biographyonline.net 23rd October 2013. Last updated 1 March 2018. 1001 Inventions That Changed the World at Amazon. A look into the numerous inventions we now take for granted. How they came into existence and how we use.